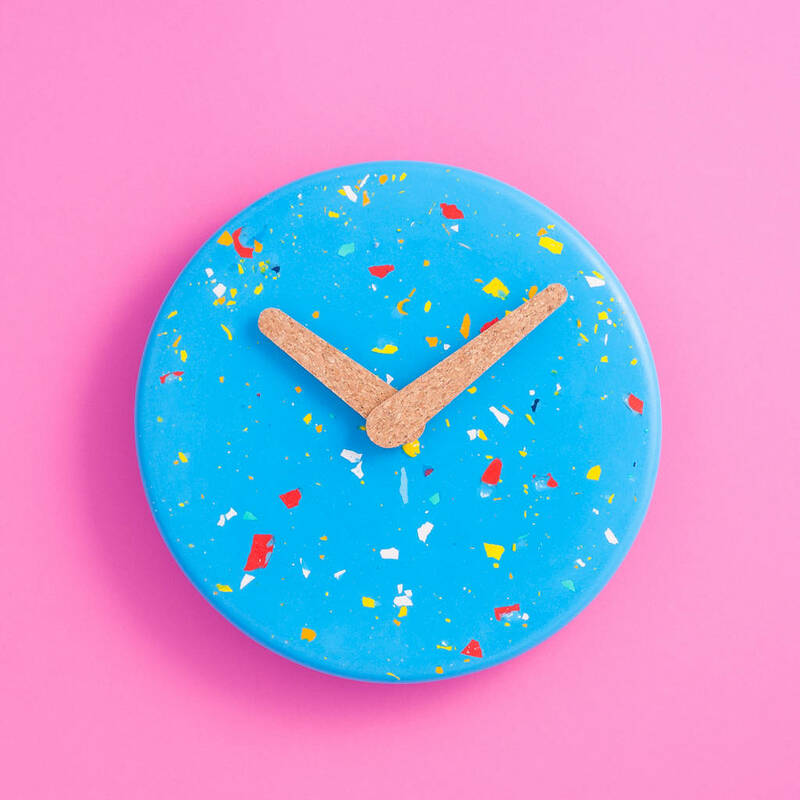 Hand poured Jesmonite clock with contrasting multi-coloured chips. All our products are made by ourselves (Amanda & Joe) using as many sustainable materials as possible from our products to the tape that goes on our packaging. 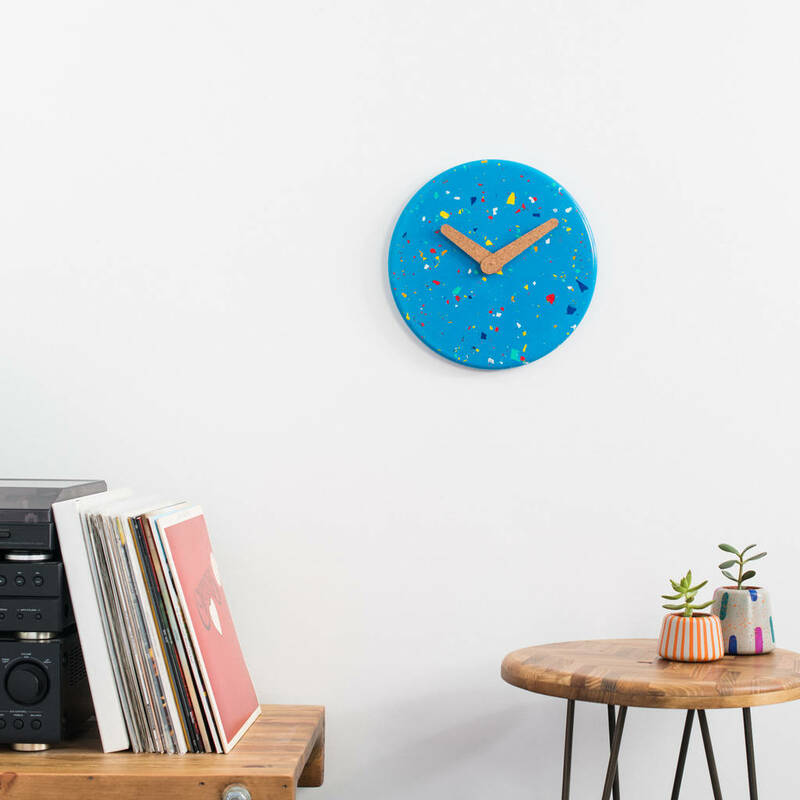 Our handmade clocks are produced in limited numbers and individually marked. Each one will vary in pattern and finish. Small clock measurements: 23.5cm x 23.5cm x 3cm. Large clock measurements: 31.5cm x 31.5cm x 3cm. This product is dispatched to you by Hey, Bulldog! Design.